Are you currently in need of professional assistance with Lowell water heaters? Alert the staff here at Pann Home Services and Remodeling today. Our technicians can provide you with first-rate water heater repair in Lowell. They can provide you with Lowell water heater installation that’s just as strong in quality. If you’re in need of reliable Lowell water heater replacement, you can find our company at 126 Inman Street, Cambridge, Massachusetts 02139. You can reach us at 617-864-2625 to schedule water heater replacement in Lowell as well. Our plumbing experts can troubleshoot water heaters with ease. They can fix and maintain them just as skillfully. Should You Call Us for Lowell Water Heater Repair? Indications of the need for Lowell water heater repair can be pretty easy to spot. If you’re in need of water heater repair in Lowell, you may be in on the reality quickly. A water heater that has leakage may point to an issue. Reduced water pressure located throughout your property may point to an issue as well. Be attentive to other revealing signs. These may include shifts in water heat, water that has a bizarre and unpleasant flavor and odd noises. If your water heater keeps making irritating snapping noises, then that probably signifies that it needs our professional expertise. Our plumbing professionals can help you manage water that has flavoring that’s reminiscent of metal. They can help you manage headache-inducing leaks, too. Is Lowell Water Heater Replacement a Better Option? Repair service can help many kinds of water heaters. It often can’t help older appliances, however. If your appliance is at least 10 years in age, full replacement service may be preferable. 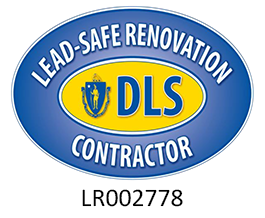 There are also some signs that frequently denote that water heater replacement in Lowell is 100 percent necessary. If your appliance is releasing H20 that has a rusty appearance, then you may be due to explore all of your replacement options. This kind of water can point to interior corrosion. It can even lead to annoying leaks, too. If you want to get a fresh new water heater in Lowell, our technicians have the skills, determination levels and work ethics you’re waiting for so patiently. 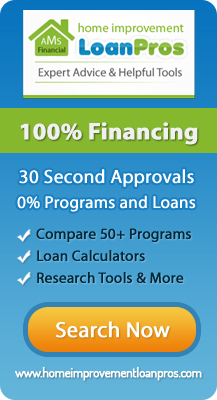 Water heater services can be affordable for smart people in Lowell. If you want to fix water heater problems, we can provide you with repair assistance that’s far from costly. If you want to replace a water heater that’s excessively old and fatigued, we can offer you replacement work that’s thorough and detail-oriented to the max. We never burden our loyal customers with unreasonable water heater service rates. Book an Appointment with Pann Home Services and Remodeling A.S.A.P. Our plumbers can cater to all kinds of water heater service requests in Lowell. We can help you manage water heater leaks. We can help you manage water heater noise dilemmas, too. Phone our affable and committed staff members as soon as possible to book an appointment for our assistance.